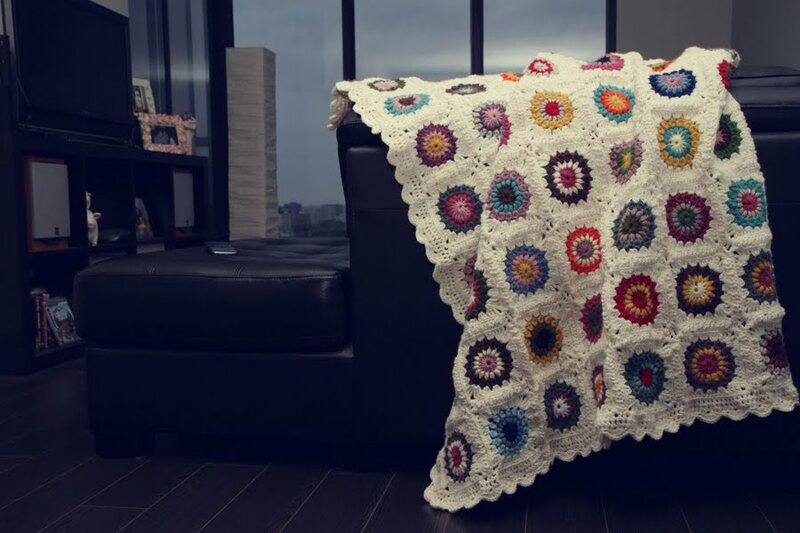 Better Together Photography: sunburst granny square afghan! I am ecstatic that my sunburst afghan is finally done! The afghan means a lot to me as it was started during a very emotional time during my life. I am happy that is is completed and I must say... I LOVE IT! Posted by Maddy at 9:27 p.m.
November 14, 2011 at 9:50 a.m.
bonjour je ne cesse de l'admirer bravo magnifique!!!!!!!!!!! February 6, 2012 at 4:30 a.m. Very, very beautiful. Thanks for sharing & nice photos. March 2, 2012 at 12:53 a.m. This is beautiful! 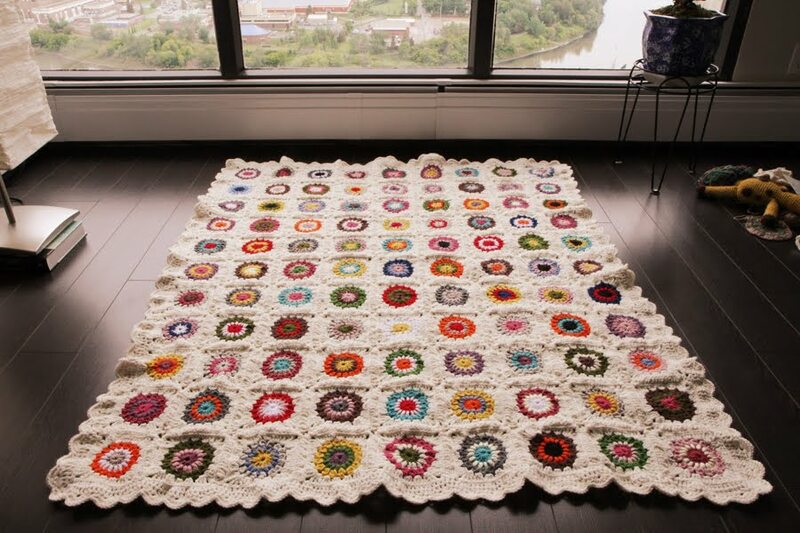 I featured your afghan on my blog with a link to this page.Your photos are stunning too! May 1, 2012 at 4:44 p.m.